3uTools can manage files, download apps/wallpapers/ringtones, flash, jailbreak… An All-in-One Tool for iOS Devices. The Most Efficient iOS Files & Data Management Tool. 3uTools makes it so easy to manage apps, photos, music, ringtones, videos and other multimedia files. 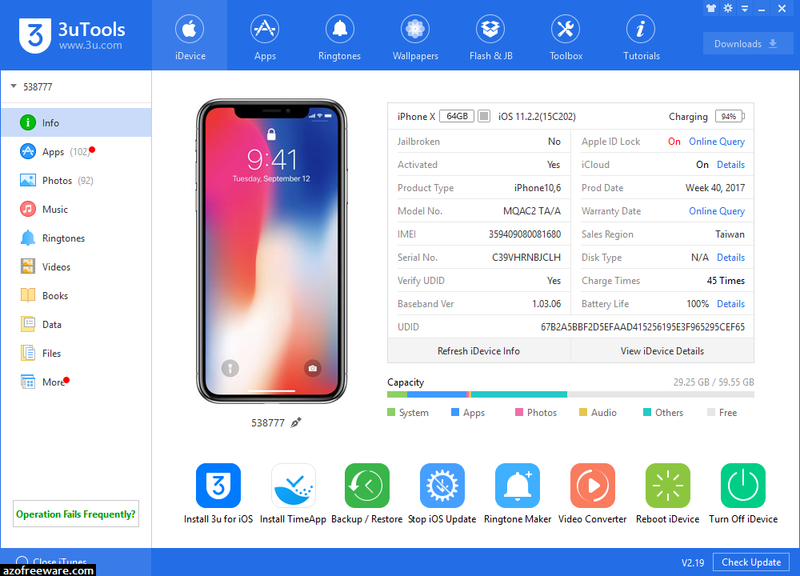 Fully view iOS device' s different statuses, including activation, jailbreak, battery and iCloud lock statuses, as well as detailed iOS & iDevice information.